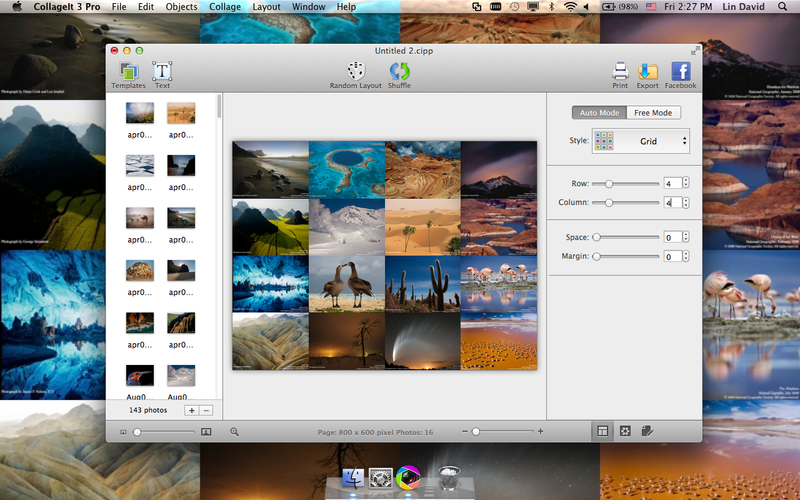 Have you grown tired of the limited options available to make collages in the stock photo app that comes with your Mac? Do you need to flex your creative skills with an application that can match your limitlless levels of artistry? If so, you need to know that you can easily broaden your collage-making horizons, thanks to today's discount software promotion, CollageIt for Mac! 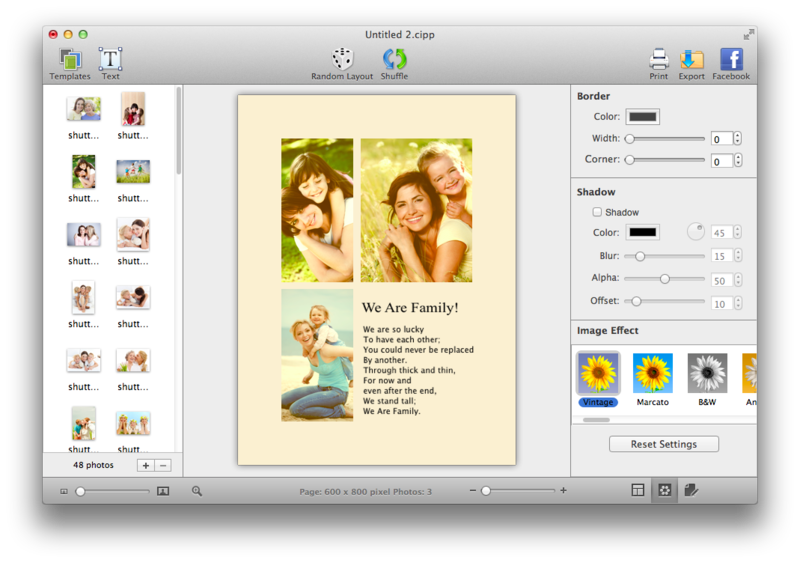 CollageIt for Mac is an intuitive application that automatically builds photo collages in Mac OS X. 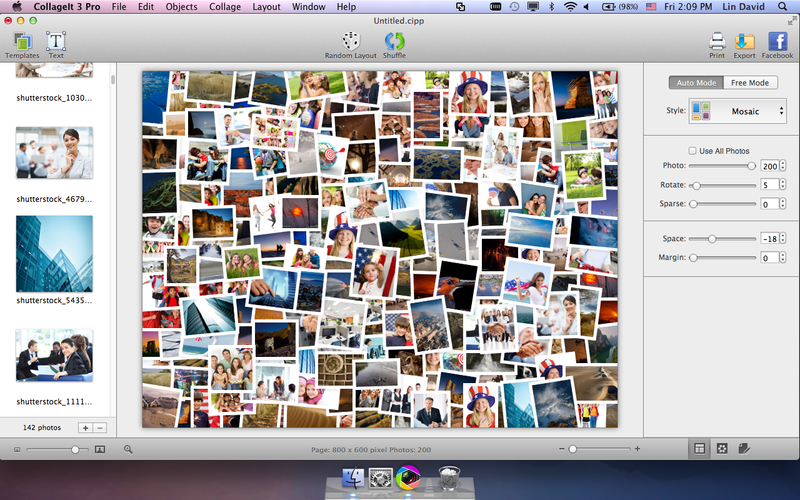 With CollageIt for Mac, only three steps separates you from a fully realized, visually stunning collage of images that can hold up to 200 photos. Thanks to a realtime preview, you'll always know what your results will look like before committing, and full support for Mosaic, Grid, Center, and Pile collage styles will keep you creating and experimenting for hours and hours. 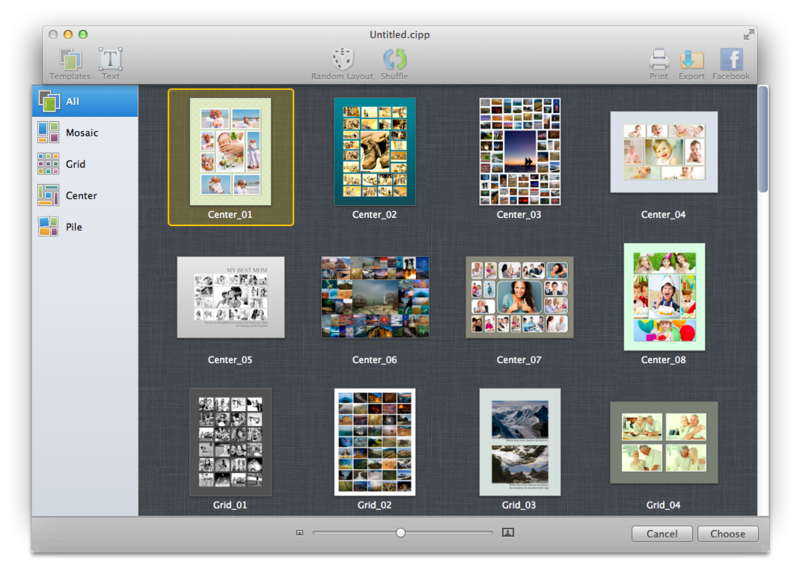 Thanks to the 30+ included templates, it's easy to get up and running with CollageIt for Mac just moments after installation. Just select a template and get to work, populating it with your favorite and most cherished photos. Then, customize page sizes and backgrounds for a truly personal touch, while experimenting with photo counts, page margins, rotations, borders, and shadows. Once you're done, easily share your masterpiece in a variety of image file formats, send it to friends and family in email, or post it to Flickr and Facebook for the whole world to see! After you purchase CollageIt for Mac it may be used indefinitely. CollageIt for Mac is licensed per user, so if more people are going to use CollageIt for Mac you will need to purchase additional copies. Each license allows installation on all owned computers, but CollageIt for Mac may not be used at exactly the same time on each of them.